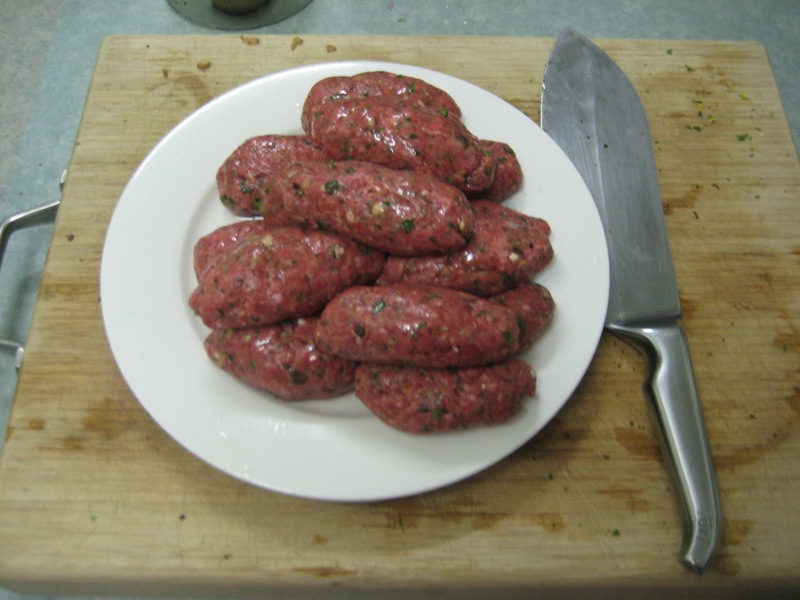 Kofta sounds so much nicer than skinless sausage but essentially that's what it is. Lean and as tasty as you want it to be. Add in pine nuts, use diced eggplant, add some chilli, serve with yoghurt etc etc. 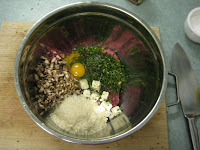 Combine the bread crumbs, mince, egg, minced herbs, mushroom, rind, garlic, salt and pepper and feta in a large bowl for 5 minutes. Working the meat makes it bind better. Form the mixture into short sausages. I wet my hands with olive oil as I go so that the mixture doesn't stick to my fingers or each other. Shallow fry over a medium heat turning when they have nice colour. While the kofta are cooking combine the shredded basil, sour cream and lemon juice. 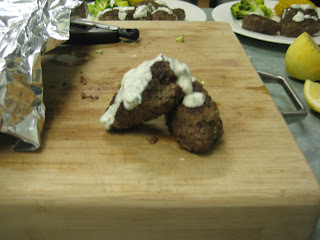 Top the kofta with the basil flavoured sour cream and serve with steamed vegetables.